OmniVision Technologies, Inc., a leading developer of advanced digital imaging solutions, in collaboration with OPKIX, maker of compact wearable smart cameras and companion studio editing/sharing applications, today announced the OPKIX One, a wearable camera that integrates seamlessly with smartphones. This camera allows anyone to instantly capture point-of-view (POV) 1080p high definition (HD) video without removing the paired smartphone from their pocket. 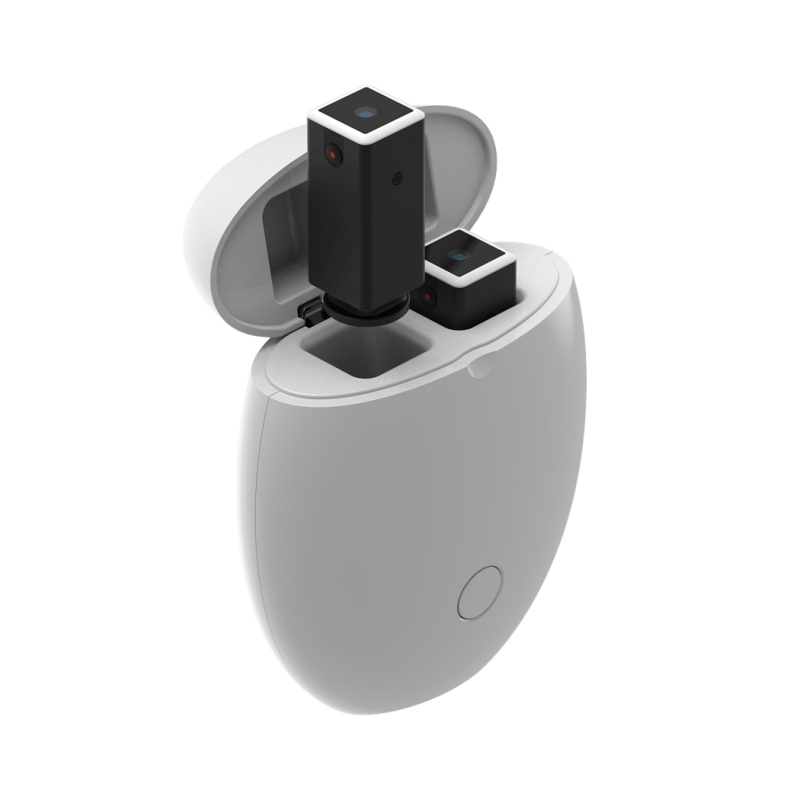 The OPKIX One system includes two cameras, allowing users to capture two simultaneous perspectives, and an egg-shaped case, which charges and immediately offloads video to a paired smartphone for storage and editing. Both cameras contain an OV798 video processor and an OV2732 image sensor from OmniVision, which enable high-resolution video capture in an ultra-compact package. The OV798’s integrated image signal processor supports high-performance video recording at up to 1080p resolution. The processor’s low power consumption also enables up to 15 minutes of continuous video recording on a single battery charge. The OV2732 sensor, built on OmniVision’s PureCel® technology, has a 1920 x 1080 active array with multiple programmable controls and automatic image control functions. Both the OV798 and the OV2732 have wide operating temperature ranges, enabling outdoor operation year-round. The OPKIX One is available now, with fashion-forward, wearable mounting options that include sunglasses, necklaces and rings. OPKIX’s intuitive software enables easy editing and allows users to incorporate fun effects that enhance their captured videos. For more information, contact your OmniVision sales representative or OPKIX.